There’s a lot to think about when you’re preparing to take your GUE Fundamentals class; a common mistake is to over-think it. There is also a lot of outdated and incorrect information online (mixed in with legitimate information), so rather than over-prepare or mis-prepare, follow these 5 steps to successfully prepare for a GUE Fundamentals class. Make the commitment to take Fundamentals. Find an instructor/class location that fits your personality and dive condition desires. Apply on www.GUE.com or contact the instructor to create a new class. Review the required equipment list. Ask your GUE Instructor before making a new purchase. Make sure you have appropriate exposure protection for your class location; when in doubt ask your GUE instructor. Make sure equipment is in working order, organized, well-maintained, and not fresh-from-service-but-undived. strive towards flexibility that allows you to manipulate your gear with ease. 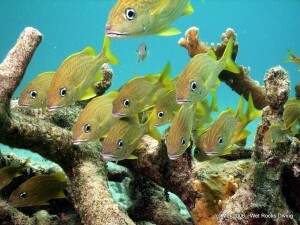 Fitness for Divers is a great resource. For the ladies, Mer’s had great luck with The New Rules of Lifting for Women. See other fitness book recommendations, here. You’ll get the most out of your Fundamentals class if your personal fitness program includes at least 30 minutes of exercise, 3 or more days per week. Practice the swim test: 300 yards or 275 meters in 14 minutes. You may use goggles and exposure protection if needed, but no fins or snorkel. The swim test is a mix of swimming technique and physical fitness. The key to the test is to keep moving! If you’re having difficulty completing the distance or finishing within the time limit, technique often is the root cause. 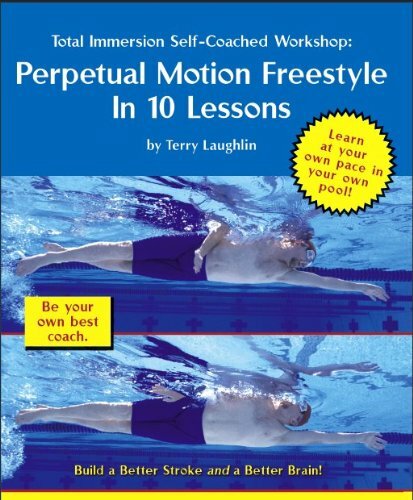 Improve on your technique by taking lessons geared towards adults, masters-level swim classes, or obtain Total Immersion home study DVDs. Your local pool may even offer Total Immersion workshops or coaching. Swim test preparation will pay off in spades; but remember, never swim alone! Review the student materials you downloaded when you registered for your Fundamentals class on www.GUE.com. Read the books, the supplemental readings, and the standard operating procedures document, and review the workbook. Your GUE Instructor will likely assign some worksheets to be completed prior to the start of class. Mer also recommends the book Beginning with the End in Mind – the Fundamentals of Recreational Diving as an additional reference beyond the required course materials. rather than spending energy on “passing.” From there will follow: learning, improvement, and with practice, success. Follow these 5 Steps and you’ll be on your way to a fun and productive Fundies! 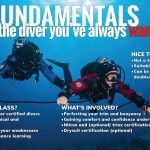 Are you ready for the best dive class of your life? Click here to Start Training with GUE.